Rich’s bio below speaks for itself, but I was so astounded by his experience and range of expertise. This interview gave me the opportunity to really geek out on the details of how he trains such a large number and diverse range of highly competitive athletes– as well as how he has managed his own career as a world-class powerlifter. Please enjoy. An ASU alumnus, Rich Wenner received his BS degree in 1986 and MS degree in 2009. Wenner has been a sports performance coach for more than two decades at Arizona State University. He has been the Associate Head Sports Performance Coach since 2003. Throughout his career, Wenner has worked with four NCAA Championship teams, 13 individual NCAA Champions, 21 Pac-10 team champions, 150+ Pac-10 individual champions/All-Pac-10 first team selections, and 167+ First Team All-Americans. These teams include the 1997 Rose Bowl team, the 1988 and 1998 College Baseball World Series Championship game teams, as well as the NCAA men and women’s basketball Sweet Sixteen/Elite 8 teams. Wenner was pac-10 strength coach of the year in 1996, and was inducted into the NSCA Coach Practitioner Distinction Program. He was one of 32 coaches from across the country named an Elite Strength Coach through the coach practitioner program. 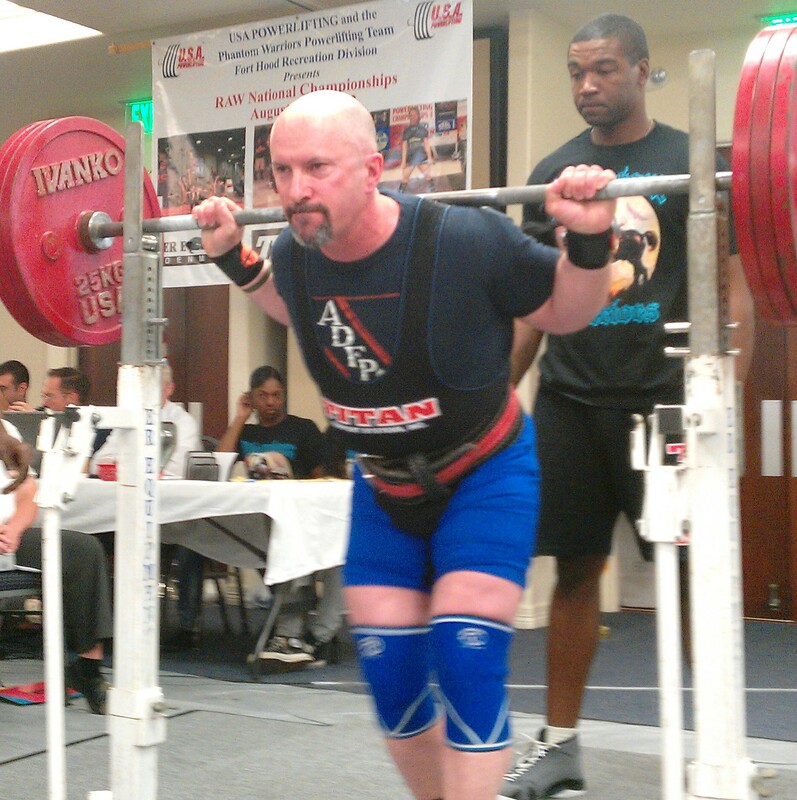 In addition to his coaching career, Wenner is an accomplished powerlifter. He has competed in 32 national/international level meets. He has won 17 titles, two of which were IPF world championships. Wenner has also achieved 11 second-place finishes. 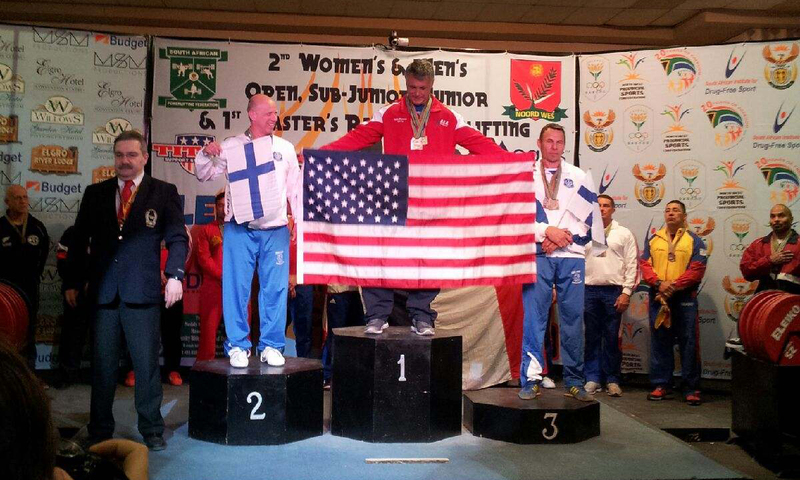 He has established over 20 national powerlifting records and 2 world records. Wenner is originally from Pennsylvania. First of all, would you mind sharing just a little bit about your background and how you became a sports performance coach? I started volunteering in the weight room at ASU as an undergraduate. When I wasn’t in class I was in the weight room. By the time I received my undergraduate degree, I had several years’ experience working with teams. I was even fortunate enough to have a few teams of my own—did programming, set up training times, met with the coach, etc. A few months after I graduated, a full-time position opened up and I was fortunate enough to get the position. That was in May 1987, and I have been here ever since. It’s been amazing to be at one institution that long, and fascinating to watch the whole progression of training and the facilities at ASU. According to my research, you work with the men’s and women’s basketball teams as well as the baseball team. Do these different athletes all do a lot of barbell work? How does the lifting vary depending on the sport? I will also be working directly with softball and wrestling this year. Yes, all those sports do barbell lifts: power cleans, power snatches or some versions of those lifts, front and back squats, push press/jerks, flat/incline bench work, single leg work, as well as posterior chain work. Each sport has small things that demand extra caution. For example, overhead work with baseball, low backs with basketball. So, we tweak lifts as needed. However, in general, all these sports need to develop strength and power, so they do similar lifts. Sets, reps and intensity will vary from sport to sport but that has as much to do with the demand of each individual sport as anything. We do spend a good bit of time doing prehab work and that will really vary from sport to sport. Baseball will require more upper back and rotator cuff work, basketball will require more things to open up the hips, get the glutes firing, and unlock the ankles. Additionally we have some post-work that we do with each sport, once again focusing on the different needs of each sport. The prehab, post-work and conditioning program for each sport is really where the individual differences between sports emerge. Let’s talk gender a little bit. Do you see any major training differences between men and women? There are subtle differences that seem to appear—such as recovery rates, as well as the reps/set at a certain percentage the athletes can perform, and the volume they can tolerate. Additionally, genders may be more prone to certain injuries. But honestly, it seems to really boil down to the type of athlete more than the gender of the athlete. Fast twitch type athletes are very similar regardless of gender. Same goes for the slower twitch, grinder type athlete. Can we get into the details a bit more? How do you program strength cycles based on the team’s competition calendar? Well that can be tricky. For example, baseball is gone all summer playing in summer leagues so they do have a program but are on their own. The facility as well as the time they have to train varies greatly so they get a general strength program with the hope that they can get something done. When they return for school, we have eight total weeks before fall ball starts and that is basically our off-season time to train. Over those eight weeks, we do a somewhat linear strength cycle, transitioning into more of a power emphasis towards the end. That is followed by five weeks of fall ball in which we may have two hours per week to train them. We progress in more power development while developing some max strength with sub-max doubles on the major strength lifts. That ends the week of Thanksgiving break so we lose that week. We have one week after Thanksgiving to train, then there is a mandated dead period one week prior to finals starting. They are home for 4-5 weeks for winter break and once they return we have a little over two weeks before spring practice starts. Over break, they get a program that is a little more geared towards strength than power. From that point they will play 55+ games in 16 weeks, 11 of the 16 weeks had 4 games in 6 days, plus travel and 1 mandated off per week. At that point we are mostly in maintenance mode for strength while still trying to improve overall power. Basketball has a little more of an off-season so to speak. We have about 3 weeks after the season to develop a strength base, a 2 week semester break then we have 12 weeks over the summer to progress from a developmental type strength cycle and head towards more power development and finish the summer working on developing max power and strength. Keep in mind, basketball can have team skill work now during the summer as well as pick-up. Once fall semester starts, the running, playing and skill work really pick up so we need to be cautious while still building strength and developing power the best we can. The season can be hit or miss. Some weeks, we can get some good training in and some weeks have 3 or 4 games in 8 days along with travel, etc., so we do the best we can when we can. Some weeks are more maintenance and some weeks we can ramp it up a bit. Basketball in the pac-12 conference plays 2 games when away so the road trips can be as long as 5 days. We do some things on the road, the best we can. How much time are these athletes spending in the weight room? What sort of lifting volume do they do? In an off-season period we will have them 6 hours per week at the most. In-season, it can be 90 min and down to an hour per week, or sometimes even less. I especially like to push the volume for the basketball players. We use a little bit lower intensity, so I believe the higher volume of sets/reps offsets that. Most of our athletes are at a training age that seems to respond well to the volume. We generally need to keep the rest intervals on the shorter side and tend to combine two exercises when we can. If we have 6 hours a week with a team and they lift 4x per week, that’s basically 90 minutes per workout. If our workout includes a dynamic warm-up, any speed, agility, conditioning, prehab, abs/low back strength work, stretching and strength training, the 90 minutes goes very quickly. As far as number of exercises we generally have 3 main strength and/or power exercises each workout. We do a good bit of complex training so we can use out time wisely, for example: upper body press combo with upper body pull, back squat combo with a box jump etc etc. We generally end each workout with a 3-4 exercise circuit trying to address what we need to round out the workout for the day. Do you help athletes address flexibility/mobility limitations? If so, how? We use a dynamic warm-up, prehab exercise, and good old stretching each workout. We also address muscle imbalances, use full ROM exercises, and employ adaptions to exercises that work well on most. If athletes have really severe mobility limitations, they will spend extra time with the ATC (athletic trainer) working on some specific issues. For example we use goblet squats to open up tight hips—generally, they have an immediate impact. We track various things depending on the sport. We will track bodyweight and body composition for some sports, 1RM on lifts for most sports (power clean, squat, bench). Also some rep stuff like best set of 3 or 5, sit and reach for flexibility, vertical jump, approach jump, and/or standing long jump. We pay attention to sprint speed, which varies in length for different sports. Some bodyweight exercises like dips and chins. We track bar speed using a tendo unit on occasions for certain cycles of training. I really have some mixed feelings on testing. It seems we train year round, but the cycles are usually really broken up and generally, if an athlete is in town training, he or she is also spending a lot of time on his or her sport. Taking a day to test, or a week to get everything really takes a week away from training. Sometimes it is hard to find time to retest when the athlete is in a well-rested state to see good improvement. To gauge strength increases, I really watch bar speed, reps, and increases in weight at a certain rep. We can also see athletes running better during conditioning workouts and that is a great evaluation tool for us. Let’s speak a little bit about your own career. 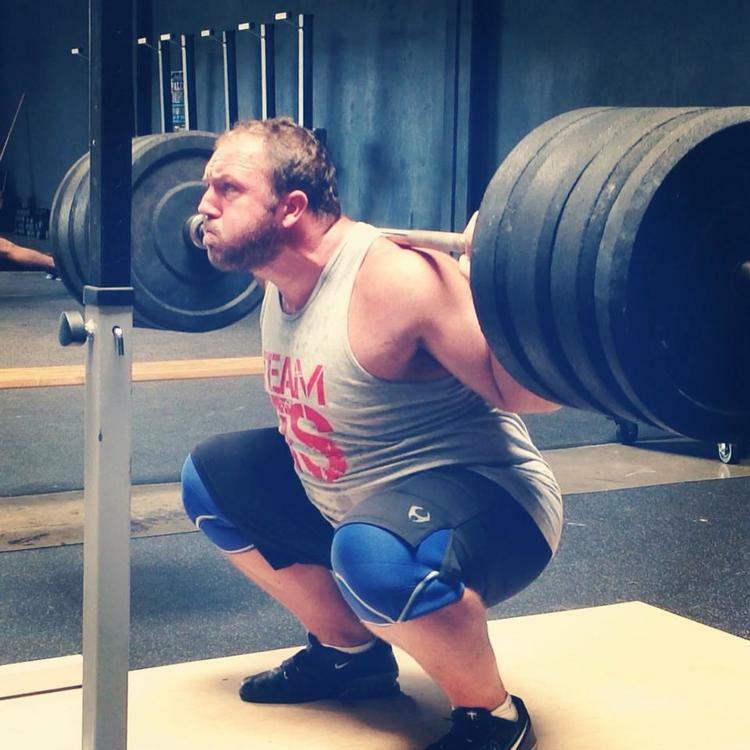 How has your training evolved in all the years you have been powerlifting? Hmmm. I definitely had to decrease my volume for the most part, and also have to spread my workouts apart more often. I don’t seem to need to or be able to train as heavy as often anymore. I did get away from a few things like dips and overhead presses, which I now regret. For the most part my exercise selection has remained very similar. I have had to make a few changes in technique on the competitive lifts: for example, a little narrower grip on the bench, a little higher bar on the squat. I also think that as you get older you need more conditioning/stretching—just some general fitness training. Lastly, nutrition plays a much bigger role than it used to. How much time do you devote to your own training right now? How many hours per week would you say you dedicate to lifting? When I’m on a roll, I like to lift 4x per week, usually around 90 min per workout give or take. I like to work in abs 2x per week on off days and then have a sled drag day. I also like to finish each workout with a little bit of conditioning, maybe a kettlebell ladder or something. I don’t think I’ll be competing until next summer, so I’ll be working on tweaking some technique stuff as well as building a good strength/conditioning base for a while. I was overwhelmed by your career history and all that you have accomplished. Knowing what you do now, is there anything you would have changed? I would have stretched more, haha. Seriously, though. I wish I would have maintained/improved better in that area, especially in the shoulders and hips. There were also times that I got away from training for whatever reason, and I wish I had managed that differently. At one point, I was really busy at work (for a 5 year period) and I didn’t take the time to train much. I was at a high level of strength at the beginning of that time period and I lost a lot of strength. It made coming back to competing very tough and I never regained some of that strength. Also, I wish I would have been more disciplined with nutrition in general over the years. I have gotten better, but still have lapses in that area. Is there any place online that people can find you? Just my YouTube Channel, where they can see the video from my worlds meet.